It sounds like you clearly have your preference: organically grown, outdoor bud from Northern California’s legendary Emerald Triangle. 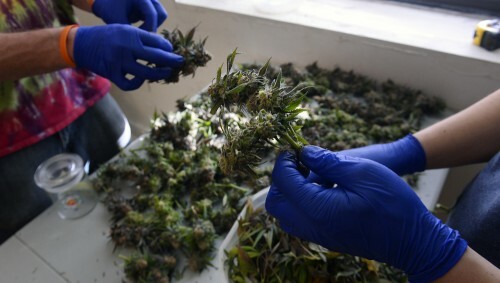 Connoisseurs can endlessly discuss the flavor and quality differences between marijuana grown in soil versus hydroponically, and indoor versus outdoor growing techniques. 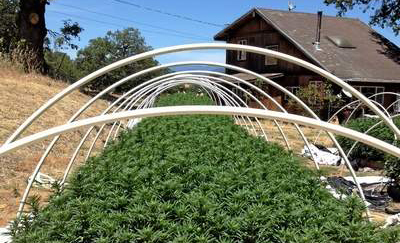 Here’s a look at cultivation options in the regulated state of Colorado. “Some local municipalities have defined ‘enclosure’ in a manner such that a fence is not sufficient to constitute an enclosure,” says Davis. “Other municipalities specifically state that Amendment 20 or Amendment 64 activities must be done inside a residence.” Davis recommends carefully reviewing local ordinances to determine any restrictions on outdoor growing for medical or adult-use marijuana. Davis adds: “For licensed businesses, state law does not require indoor grows for commercial facilities. That is a question for local municipalities to decide. Almost all municipalities require that all cultivation activities be conducted indoors or inside a ‘structure,’ which basically translates to indoors.” For example, Denver County allows for greenhouse cultivation but not outdoor; Pueblo County does allow outdoor grows in agricultural-zoned areas; and Boulder County now allows for greenhouse grows, a shift from the previous moratorium. For purchasing outdoor-grown and organic marijuana at dispensaries, it is not easy to know where to find it. The primary consumer websites, Leafly and Weedmaps, don’t have advanced search options for finding dispensaries that carry outdoor grown or organic flowers. I crowdsourced dispensary recommendations via my Facebook friends and for outdoor cultivation, Maggie’s Farm, with six locations in the Colorado Springs area and southern Colorado, was repeatedly mentioned. Organically grown marijuana is challenging to find for its own set of reasons. The term “organic,” used on food and crop labeling, is regulated by the U.S. Department of Agriculture. Since marijuana is not federally legal, the USDA or any other regulatory agency is not certifying organic marijuana products anytime soon. So that means the standards for what qualifies as organic in marijuana cultivation have not been clearly defined. The Organic Cannabis Association is a new organization designed, as its website says, “to advance socially responsible and environmentally sound business and cultivation practices.” I interviewed Ben Gelt, an OCA board member, by phone and email to get more details about organic marijuana standards and consumer recommendations. For organic crops, Gelt says, “The USDA organic seal verifies that irradiation, sewage sludge, synthetic fertilizers, prohibited pesticides and genetically modified organisms were not used.” Gelt notes the USDA certification process is primarily record-keeping paperwork with minimal testing requirements. In the absence of government regulation, Gelt says the OCA is creating its own certification program for pesticide-free marijuana, and organic certification is also in development. The pesticide-free certification, available in the near future to all licensed commercial growers, focuses on repeated and verified lab tests and site visits to certify marijuana as being grown pesticide-free. Colorado lawmakers are also considering the issue. A bill introduced Jan. 20 proposes development of a program by the state Department of Agriculture to have independent companies certify cannabis as pesticide-free and inform consumers with special labeling on products. Many people are concerned about commercial cultivation practices because Colorado businesses have issued several product recalls since September 2015 for buds, trim, concentrates and edibles after the city of Denver started cracking down on marijuana products that contained unapproved pesticides. Denver health officials stepped up enforcement after an investigation by The Denver Post found high levels of banned pesticides in certain concentrates, and The Post subsequently found that state officials had made pesticide enforcement a low priority and testing requirements for pesticide residues were set aside. Denver’s crackdown prompted Colorado Gov. John Hickenlooper to issue an executive order declaring tainted pot products a threat to public safety. Even without regulatory or organizational oversight, there are Colorado companies that already practice organic growing principles. Since 2010, The Farm, a Boulder County-based marijuana business, has guaranteed insecticide- and fungicide-free cannabis to its patients and recreational customers. Devin Liles, vice president of production at The Farm, shared his commercial cultivation perspective on consumer education, growing techniques and tips for finding quality buds. 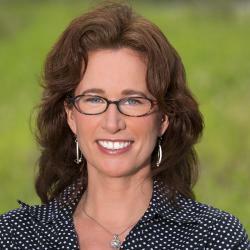 Liles recommends consumers learn about different cultivation practices. When it comes to organic, Liles says via email there is a difference between health and safety issues, environmental concerns and personal preferences. A product grown with organic pesticides doesn’t necessarily mean the product is safer; safety can also depend on the growing technique, Liles explains. “For instance, proper hydroponic growing with ultra-pure, mineral-based fertilizers in container and water culture gardening is not a consumer health and safety issue,” Liles says. “Yet, an all-organic soil gardener could spray an organic pesticide in late flower development and create a serious health hazard for the consumer. For Liles, pest management is a central principle in growing marijuana. “In our organic integrated pest and disease management strategy, we only spray certified organic pesticides in the pre-flower stages of plant development so that we can guarantee there are no pesticides on our final product,” Liles says. “In 2010, we were building facilities that had integrated pest management (IPM) principles incorporated into their design. Though more expensive, this is a key component of maintaining strict cultural controls. One example of design-based IPM is growing in several smaller bloom rooms that are fully sterilized between each harvest instead of growing in one large bloom room, always in perpetual bloom, with no downtime to sanitize between harvests. “Look for organic pest and disease management strategies, effective flushing of nutrients, whether organic or mineral-based, and find a provider that knows how to dry and cure properly,” he says. To find out how to tell if the buds you are looking at have been adequately flushed or sufficiently cured, read a couple of cultivation books. Jorge Cervantes and Ed Rosenthal are two reputed grow authors recommended by Liles. By reading about cultivation practices, you can learn how to identify the signs of good and bad cultivation. Although Colorado’s Marijuana Enforcement Division requires licensed businesses to disclose all the chemicals used in the growing process, Gelt has a warning: Analyzing the chemicals listed isn’t easy. Instead of listing banned brand-name pesticides such as Eagle 20 EW, Mallet or Oberon, the less-familiar chemical names may be used, such as myclobutanil, imidacloprid and spiromesifen. The Colorado Department of Agriculture has issued guidelines on pesticide application for marijuana crops, including a reminder of the state law. The Colorado Pesticide Applicator Act states pesticides should be applied, stored and disposed only according to label directions. Department of Ag has created a table listing chemicals approved for use in commercial marijuana application, personal grows and hemp cultivation. The City of Denver has also issued a bulletin regarding pesticide use on marijuana. Use your new label-reading skills and ask a few cultivation questions when you call or visit cannabis retailers.